Heavy duty single Joystick base (5 switches). 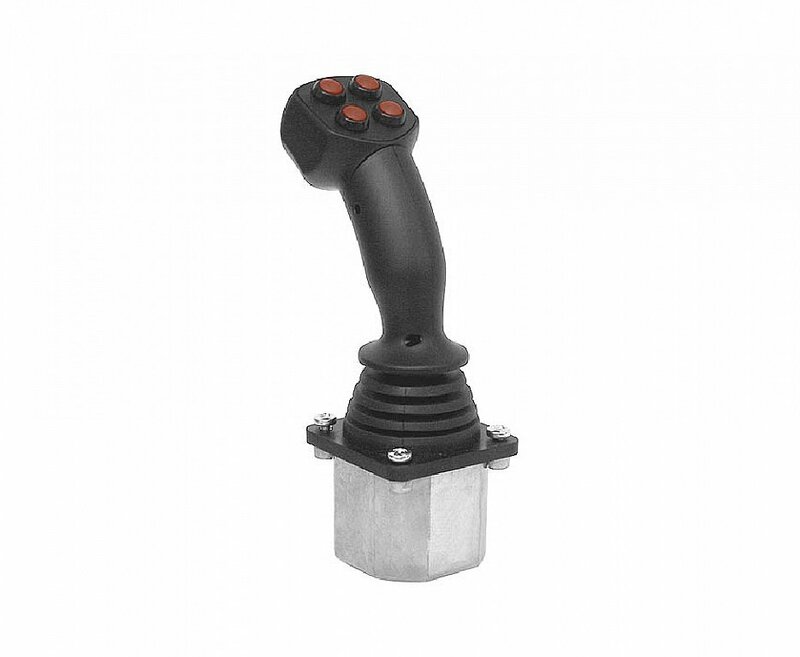 This is a rugged joystick with potentiometer and ergonomic handle. The joystick has a spring return lever for centre position. Single axis Y or dual axes XY are available. The panel material for this joystick and thickness must be strong and rigid. The panel thickness should have a dimension of minimum 3.5 mm and maximum 6 mm. The joystick has two directional micro-switches per axis. The handle has 5 pushbuttons and it is possible to have the operator present switch too. The IP protection of joystick is referred to above mounting panel and it can be max. IP65. N.B. below mounting panel the rating is IP40.